Place the caramelised onion, chickpeas, tahini, lime rind, flour, salt and pepper in a food processor and process until just combined. Roll tablespoons of the mixture into balls, flatten slightly and roll in the sesame seeds. Fill a medium, deep saucepan half-full with oil and place over medium heat until the temperature reaches 160°C on a deep-frying thermometer. 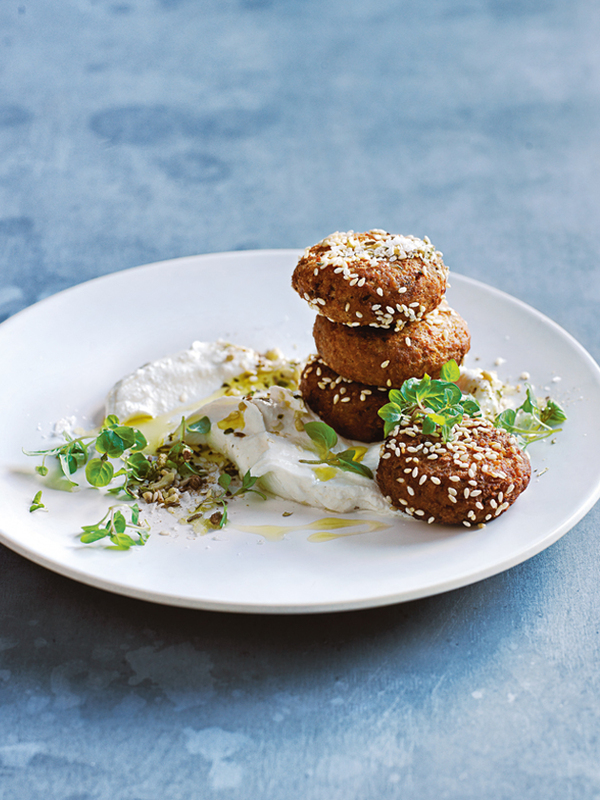 Cook the falafels, in batches, for 2–3 minutes or until golden and crunchy. Drain on paper towel. Sprinkle with salt and serve with labne, dukkah and mint. Makes 12.